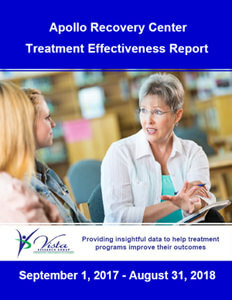 Dr. Ingrid Carlier published a meta-analysis in 2012 that showed that providing clinicians with patient-reported data helped patients get better faster in three addiction treatment clinical trials. Whereas it is often estimated to take 17 years for scientific research to reach clinical practice, leading addiction treatment organizations (aided by a Joint Commission mandate) are moving quickly to use patient data to improve treatment effectiveness. 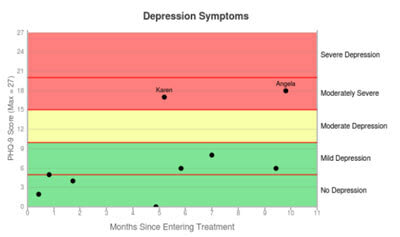 Being able to review up-to-date information about how a patient is feeling prior to a therapy session allows clinicians to better prepare and lead more productive therapy sessions. By aggregating patient data and comparing their results to norms, treatment centers can identify differences in their patient population, areas in which they’re doing particularly well, and potential opportunities for improvement. 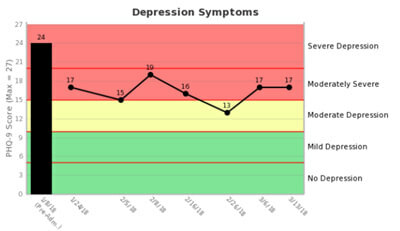 This allows the center to set quantitative performance improvement goals such as improving patient satisfaction or further reducing the severity of a specific co-occurring disorder prior to discharge, and to focus their marketing on the type of patients they’re particularly effective at helping. Additionally, Vista’s research group has identified a simple way for clinicians and program managers to pinpoint almost 80% of the patients at high risk of leaving AMA. Join us for a hands-on webinar at 2:00 EST on December 4th titled Identifying Patients at Risk of Leaving AMA. Thank you for all the hard work you and your team do to help patients recover from addiction!